​My name is Moses Chukwuemeka Daniel, I am from Nigeria, Africa. I'm a teenage poet, I love writing and I sing too. 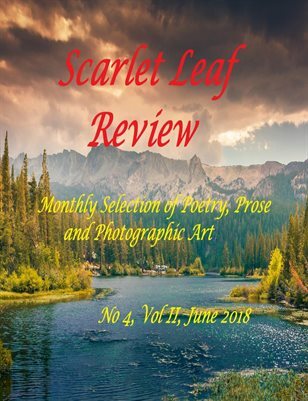 My poems have been published in some online journals and magazines. Q2: What are your future ambitions for your writing career? A:.I like every writer as i wish to be a genius with the pen, i want to be able to express, like an eagle i want to soar, i want to make mistakes too and then make up for them with hardwork and dedication. I hope to meet the future with cheers and exuberance as i write tenaciously . Q3:What are you working on at the moment? What's it about (if relevant)? A: I'm currently working on a book, my first book, i haven't got a title yet but i think it's leading to one soon, I'm taking it bit by bit because it's my first book, i can't say much about it for now hopefully when it gets older. Q4: when did you decide to become a poet? What was the decisive factor or you just took a pen and started writing poems? A:.First of all i wasn't borne with poetry, i mean no one was, just like everyone else i grew up loving it, actually i found myself in poetry after high school ( we call it secondary school in Nigeria ) when i met a poet on Facebook then i knew i could not only love literature and stand infront of the book but also be the pen. Q5: what makes you write? What's the force behind taking your pen and put verses down? A: Two things actually, the past and the future, the past in the sense that it had no good stories to tell home about my education, i had some sad experiences that sometimes makes me want to write out my feelings. And the future that is always far but very near, i don't stop wishing and writing even though i know the future is now . Q6: Where do your ideas come from? Or is it just the spur of the moment, a special feeling you experience or a specific conjunction that offers you inspiration? A: For me i believe everything is an inspiration, everything is worth writing about, words form lines, lines make verses / stanzas and verses/ stanzas produce poetry. So i write A.T.M ( All The Moment) . Q7: How do you think you've evolved creatively? A: Creativity is how much one knows and how much one is willing to know, I'm always working, sharing and exchanging ideas with other writers. Creatively i can't rate myself,I've not gotten there yet. Q8: In your opinion, what's the hardest thing about writing? A: A very crutial question, but i think everything about writing is so difficult and exasperating too, only being clueless is the worst thing about writing. Q9: What about the easiest thing? A: Starting a particular piece. Q10: Do you read much? Who's your favorite authors? My favorite authors are Chinua Achebe and Chimamanda Ngozi Adichie. Q11: what is your favorite book and why? A: purple hibiscus by Chimamanda Ngozi Adichie. It's a very education book, an eye opener, the story is about the life of a Nigerian family with a dictatorate father, a very strict man named Eugine, his very tame wife Beatrice. The story revolves around their daughter kambili whom the writer uses to tell the story and her brother Jaja the hero of the story. Q12: where can you see yourself in five(5) years? A: I see myself finishing my university education with distinction . I see a better part of myself, i see myself having my anthology, i see myself exploring my deepest thoughts and inspiration after acquiring more knowledge from school. Q13: What is your favorite quote? A: "Some people are too poor that all they have is money "
Q14:which famous person, living or dead would you like to meet and why? He is a great Singer ,his song were so impactful in the society. He sang facts that were acknowledged amongst continents, it excelled because of it's vast influence and knowledge, he was very candid and overall he preached love as the greatest. Q15: what advice would you give to aspiring writers? A: they should be true, they should read avidly, never stop writing, never give up and always follow inspiration whenever it comes. Q16:How can readers discover more about you and your works ? A: I post my works sometimes on Facebook and instagram and I currently have two videos on YouTube; Facebook: Moses Chukwuemeka, instagram: Daniel_Roars. Welcome to our anniversary edition! Between January 1 and January 15, we will have the pleasure to offer you a beautiful literary piece every day. Please, come back every day to see what we have in store for you. On January 15, we will have a special edition and only on 16, we will offer you the regular issue of our literary magazine. We've had a crazy year together. We've been spoiled - many excellent authors chose to share their work with us. We hope 2017 will bring the same: the best. We, the staff of the review, want to thank you all: readers and authors. Have a great 2017 ahead of you!